Big oil press is large capacity oil expeller which is able to process vegetable raw materials over 15 tons per day, and is mainly being used in the middle and large scale oil extracting mills. All of the big capacity oil expeller presses are with high oil output and low oil residual, the oil made is of good quality, pure and rich nutrient. 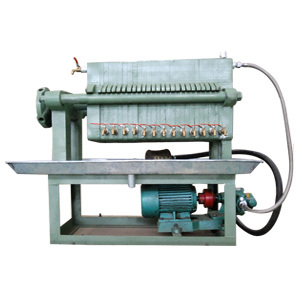 The oil filter press is a kind of oil filtration device to accompany the oil press, and is being used to separate the oil and residue from the first vat of oil. The filtrating cloth between the filter plates forms numerous compartments. The oil, under pressure, is forced through the filtrating cloth and exits from the faucet below. The technology of the machinery meets IB/T 4333-1997 qualifications. 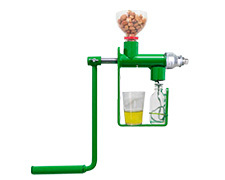 The manual oil press is a screw type small hand operated oil expeller machine that can help you make oil any where at any time with ease and fun! This mini oil press machine features of small size, convenient to use and easy to clean. 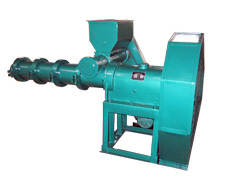 It can be used to process a great number of seeds and nuts, such as almond, groundnuts, sesame, rapeseeds, palm kernels, walnuts, sunflower seeds etc. 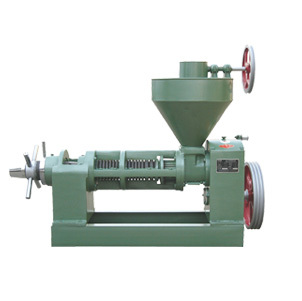 The TXP160 type oil-bearing material extruder is the main technological equipment for rice bran stabilizing treatment and bean extruding in cereal and oil industry, and also can be used to manufacture different expanded feeds in oil mills, rice mills, soybean protein factories and feed mills. 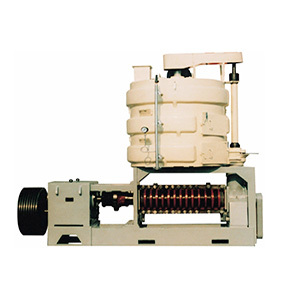 This type of extruding machine is the single equipment integrated in raw material feeding, heating and extruding.